I’d like to thank everyone who keeps reading my posts. 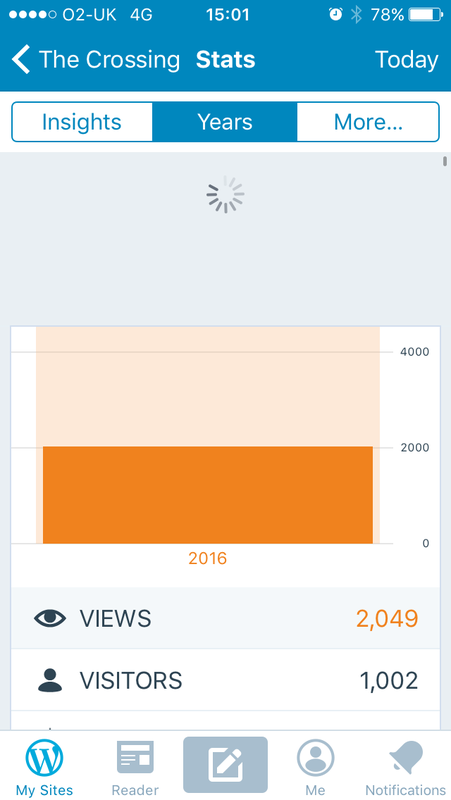 I’ve now reached 2000 visits and 1000 visitors from 40 countries around the world. My numbers have increased month upon month since June and I am looking forward to carrying on. The first draft of The Crossing is nearly done. I am just figuring out some bits before I start the final push to the end. Can’t wait to share more with you. If there’s anything Science Fiction-y that you want me to write about, let me know. Meantime, thanks again for reading.